ZwinRegio Vastgoedmakelaars, which has been active in the real estate market in the ZwinRegio for around 15 years, has grown into one of the larger real estate agencies in the region. Because of his studies and background, manager Sven Langenberg has become familiar with the characteristics of both sides of the border (NL/BE) and therefore likes to focus on both property markets. Partly because of his background and love for the Belgian border region, he started a second office in Knokke in July 2014. By being active on both sides of the border, Sven and his team have been able to compare and exploit the customs and differences in both countries. This is of direct benefit to clients, home-seekers and business partners. The service is diverse. You can contact the ZwinRegio real estate office for the sale, rental and valuation of residential, recreational and commercial real estate. But you are also at the right address for a valuation or sound advice in the field of real estate or taxation. Experience the ZwinZwin situation! When you are looking for a new home, a place to combine living and working or if you want advice on what the sale or rental of your property can offer you. A unique triangle, where crossing the border offers opportunities as far as we are concerned. 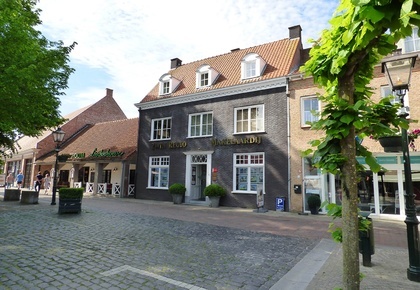 ZwinRegio Vastgoedmakelaars, a recognised real estate office (VBO and BIV), located on the charming Beestenmarkt of Sluis. The office is one of the most well-known real estate partners in West Zeeuws-Vlaanderen and the Belgian hinterland of Flanders. The real estate on Belgian territory is mainly serviced from the second branch in Knokke.